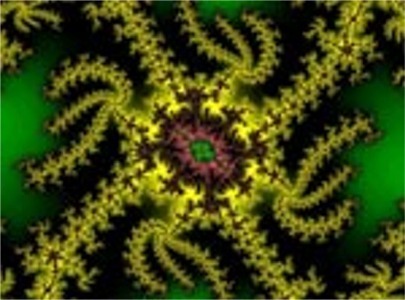 The Amazing Mandelbrot Set is a DVD video collection of 24 animated zooms into the most complex object in the realm of mathematics. 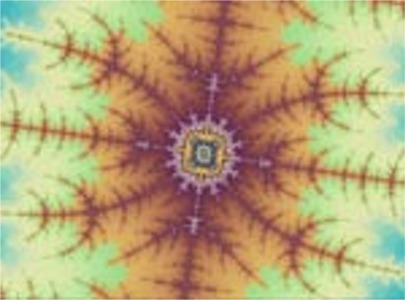 Each zoom takes you on a stunning visual odyssey of infinite fractal geometry, revealing increasingly exotic fractal patterns to a final magnification of X100,000,000,000,000,000 (1017). 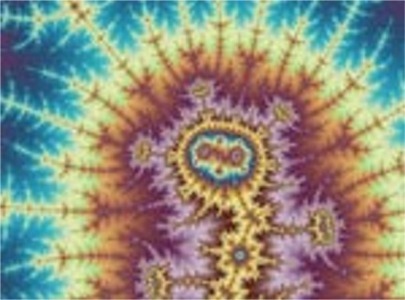 Since its discovery a quarter of a century ago, the Mandelbrot Set has become a universal icon for the doctrine of chaos--the emerging scientific idea that simple processes can result in infinite complexity. 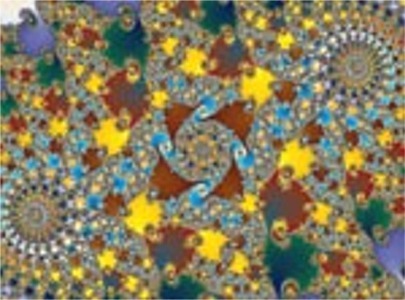 This abstract principle comes to life in the fractal deep zooms of The Amazing Mandelbrot Set--24 separate visions of the incomprehensible patterns that arise when a simple function is mapped onto the complex plane in vivid color. 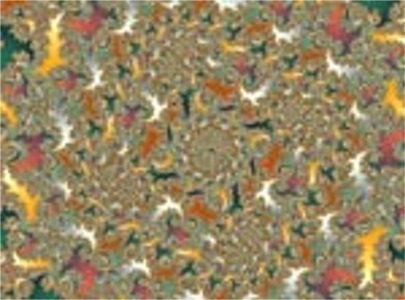 Each of 24 zooms explores a different region of the set's boundary, each with its own unique color palette. 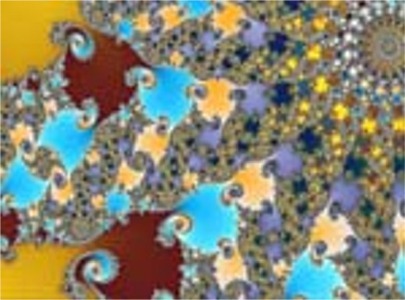 In addition to over 100 minutes of fractal deep zooms, the DVD includes a 15 minute animated tutorial. 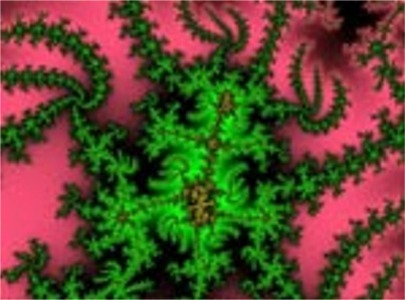 Simple yet extremely thorough, this fast-paced lesson gives a complete explanation of the Mandelbrot Set understandable at a 9th grade math level. It also includes a slideshow gallery of 100 still images, and a looping program of zoom segments--suitable for providing background TV ambience. 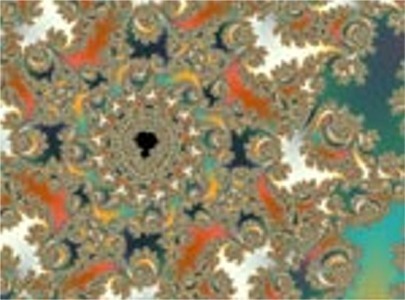 At three-and-a-half hours in duration, The Amazing Mandelbrot Set is a truly unique creation. It's the only feature-length exploratory video catalogue of fractal geometry ever produced--and it's available worldwide for the low price of only $22 USD, plus shipping.